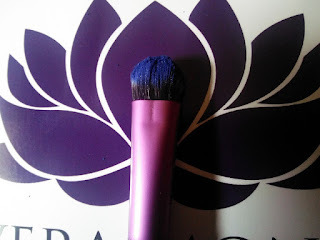 Building and maintaining a decent makeup brush collection can be a rather costly endeavor. It can also be a rather drawn out process of buying and buying and buying until you find brushes that you are completely happy with. I have around 15 eye shadow brushes, but I only use 3 different ones. 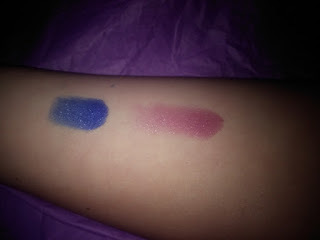 One I use for all over and transition colors, one I use for the crease and outer V, and the third I use for blending. Since two of those brushes have to pull double color duty, I had to get a towel and spend several minutes rubbing the brushes back and forth until I got the color out of them. I found myself lamenting having brushes with excellent color pick up. My eye shadow application time was triple what it should have been. have to offer. 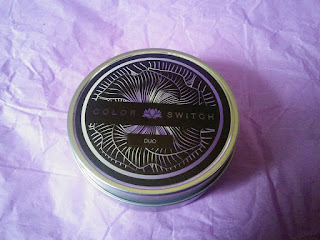 I was instantly intrigued by the Color Switch products. These magic little sponges promised to quickly and completely remove color from a brush so that you can switch to the next color without any transfer. There is a page of Testimonials from makeup artists and popular YouTube personalities, including my favorite Grav3yardgirl (Shout out to the Swamp Family! ), singing the praises of the Color Switch. The color switch comes in three different styles. 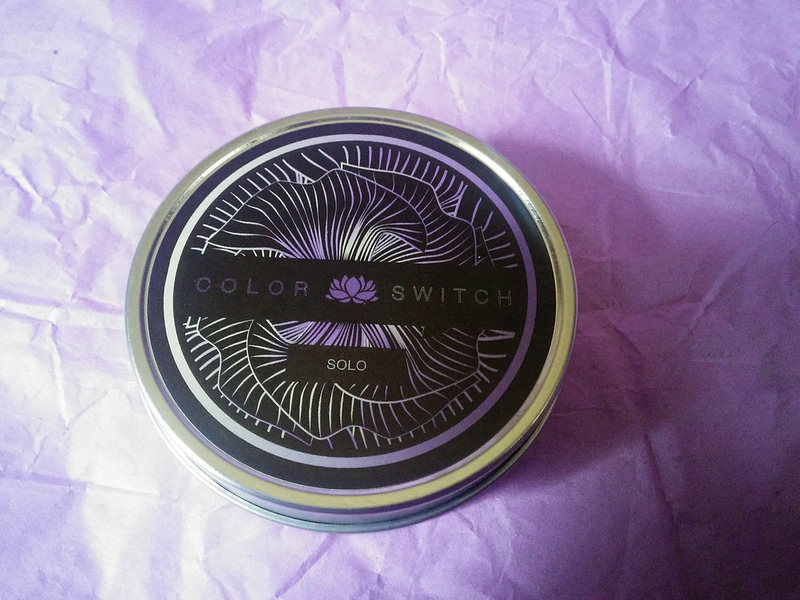 The Color Switch sponges can be easily removed from their tins and cleaned with soap and water, or they can be completely replaced with refills. 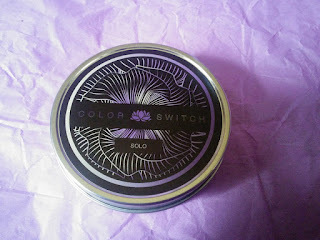 The Color Switch Solo and Duo are both available to be purchased by themselves, with refills, or as a combo with a Vera Mona Double-Ended Brush. I had the Color Switch for about 3 minutes before I was busting out some eye shadow to give them a try. I chose a highly pigmented bright blue and a light, bright pink for my testing. Since photographing my own arm didn't seem like a very easy thing to undertake, I enlisted my oldest spawn to be my test subject. In case, you have curiosity as to what a 12-year-old boy charges for such a service, it's one free app download on his tablet. He works for fairly cheap. I decided on the Vera Mona Double Ended Brush as my testing brush. I figured I would kill two birds with one stone using it because I could get a feel for how it picks up and deposits color. 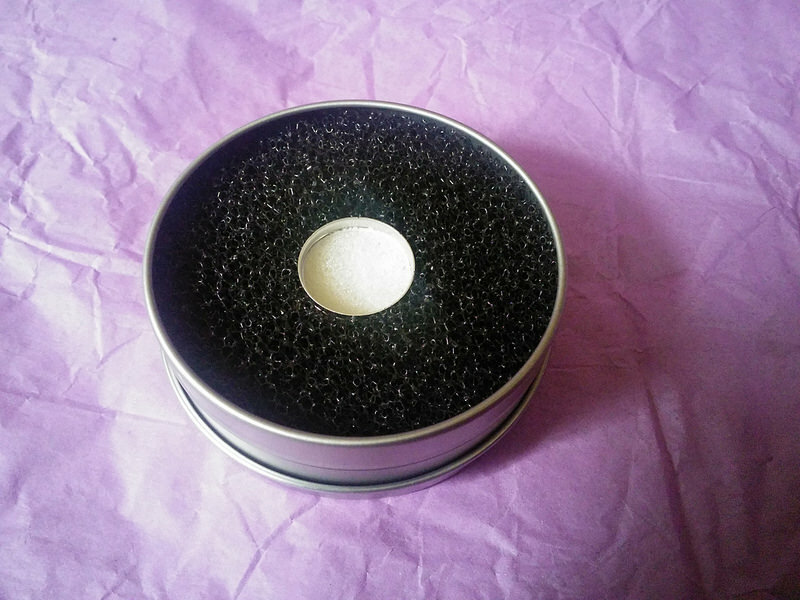 One end of the brush is a lid and blender with soft and slightly fluffy fibers, and the other end is smaller and shorter fiber smudger brush. 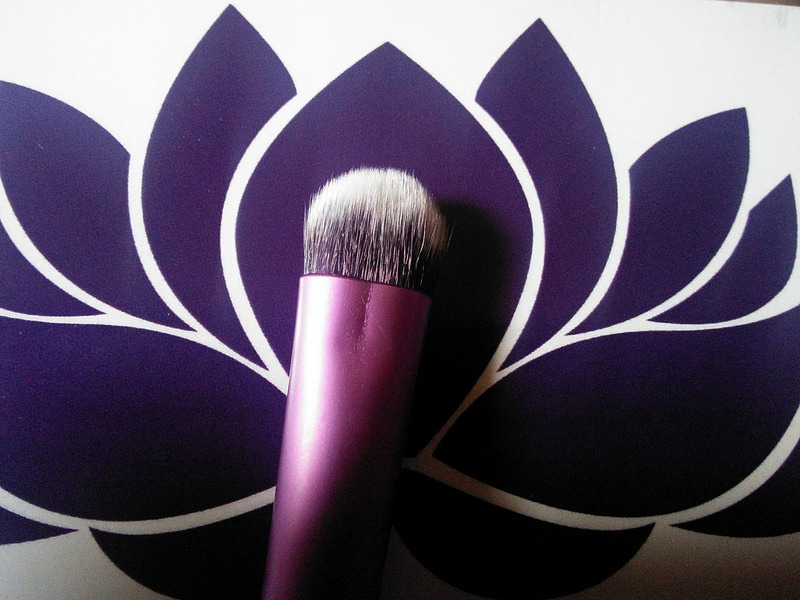 The brush is vegan, and cruelty-free, which is always great. I started with the blue. I loaded the brush up with color. The brush picks up color quite nicely. 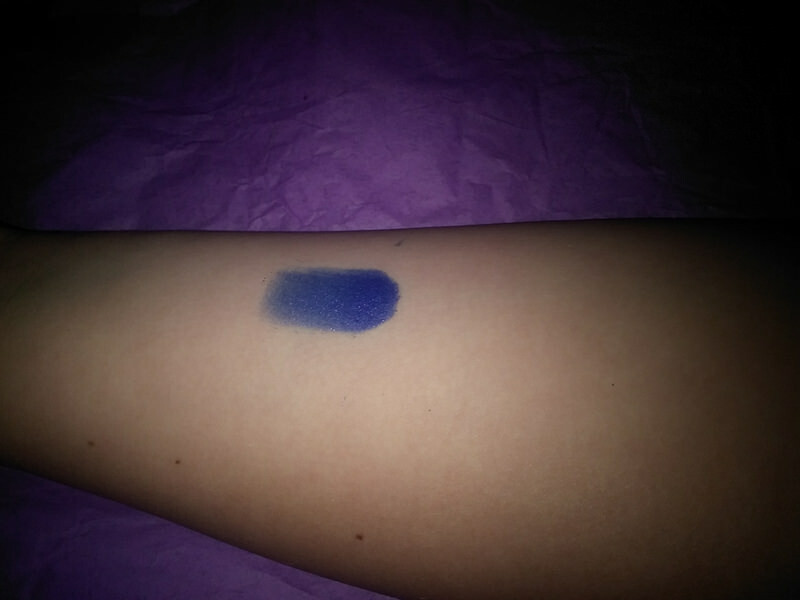 I then deposited the color on the forearm of my spawn. The color lay down was very clean with little fallout. I then took the brush for a spin against the Color Switch Solo in a circular motion to remove the color. Since this was an action step, I didn't take any photos of it. Close your eyes and imagine what that would look like. After about 20 seconds I examined the brush to see how it was coming along. Despite some staining to the white tips, which you kind of have to expect from a highly pigmented color, there was no evidence of eye shadow on the brush at all. I gave it a quick test on the spawns arm to see if I could see any color, and there wasn't even a hint of a ghost of color left behind. I moved on to the pink eye shadow. I loaded up the brush, once again with great pickup of color, and deposited the color on the arm of my spawn. The spawn and I both took turns examining the pink to see if we could see and trace of the blue. We both agreed that there wasn't any blue present at all. Pink was the only color visible. 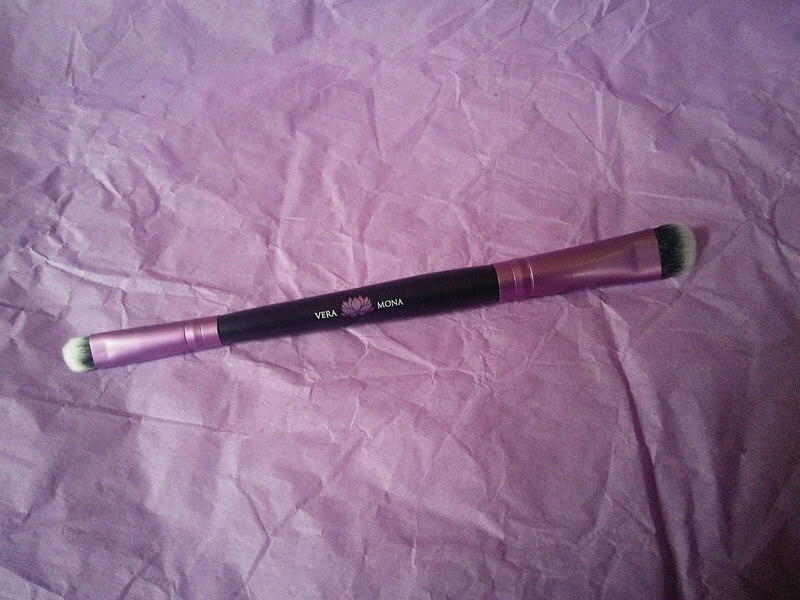 The Color Switch lives up to its promise of quickly and completely removing color from eye shadow brushes. I am VERY satisfied with the quality and performance. 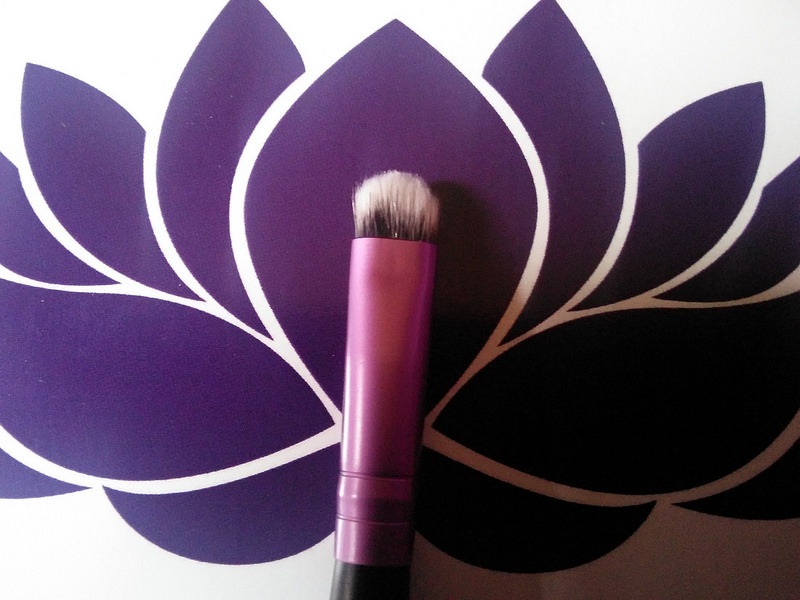 The Double Ended Brush is also a quality performer. Since I've had the color switch, I've noticed that my makeup routine has been reduced in its duration by several minutes. No change in the amount of makeup my spawn wears on his arm, though. That returned to its usual level immediately after that last photo. Do you have a favorite makeup brush you would like to recommend? Or maybe a request for a makeup product you would like to see my spawn model on his arm? 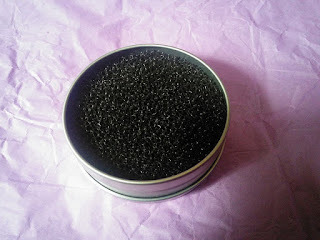 Check out some more great beauty reviews: Moisturize Me! and Coastal Scents Palette Review. I don't think I've ever seen makeup like that before. That's pretty cool! I'm no makeup slouch, so I'd love to give this a try. Ohh I need new brushes too, thanks for reminding me! ;)I love to play with colors too ;) Though recently, I don't have time for make up, but it's always good to have some. Brush buying is a nightmare. I do not envy that task. Good luck! That is so cool!! I didn't know something like this existed, but now I really want it! I had no idea either! My stained towel is sad at how long it took me to find out. I had no idea it existed before visiting the Vera Mona website. I don't understand why people are keeping this a secret! I don't wear a lot of make up so I'm not sure what is good and what is not. I'm glad there are blogs like this so that when I do wear make up I can check and see what you recommend. Stick around, I won't lead you wrong! Thanks for commenting! 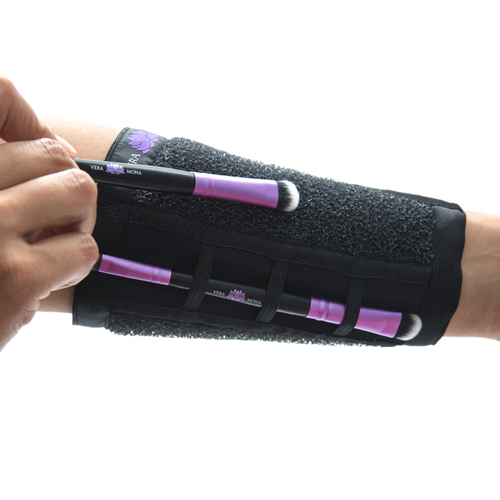 This is a brilliant invention, I used to have to use several different brushes to get different colors so this is definitely something I can benefit from. This looks like a great and easy way to clean brushes fast. I want to try this because I have an awful time accidentally getting colors mixed together. I do have quite a bit of makeup around my room! I wish I had more time to actually use it though. Wow! My daughter totally needs this. She makes a mess of my makeup brushes. I actually don't own in makeup brushes!! I have been meaning to get one just haven't done so This sounds like a great one to have! Wow, what fun fun colors! My sister is totally into makeup, I need to show her this! I can see this being a great gift idea for older teens and those interested in cosmetology. I like the blue shadow - neat. I have the same problem with my brushes and never knew such a thing existed. It would certainly save time when putting on my makeup. I have the same problem with my brushes and never knew such a product existed. This would save me so much time while putting on my makeup. Those look like some awesome products. I really like the color switch sponge on hand. That is something I could use. This sounds like a great product. I love using a brush and water to change my shadow into eyeliner. I want this immediately. I am always blowing (awful) on my brush or rubbing it on a towel or kleenex. This is ingenious! Oh man, I had no idea something like this even existed. Life changing. I am not a big make-up wearer, but partly because of the hassle. Love that I can cut down on that now.